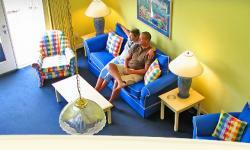 Plantation Resort - Private and Comfortable Accommodation! Surfside Beach accommodations with up to three bedrooms. Enjoy the luxury and privacy of Plantation Resort's spacious condominium villas and choose from deluxe hotel rooms with kitchenettes, plus one, two and three bedroom villas. Each villa is completely furnished and equipped with all of the comforts and convenience of home. 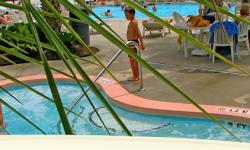 Plantation Resort is only 10 minutes south of Myrtle Beach but far away from the hustle and bustle. Stay with us as a guest or become part of the Plantation Resort condominium ownership timeshare family, the choice is yours. 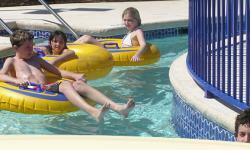 We recommend our deluxe hotel rooms and one bedroom condominium villas for individuals, couples, and small families. Our two and three bedroom condominium villas are ideal for larger families and groups and can sleep up to ten adults comfortably.